Organization: Set up a 20 x 20 grid with 12 rings placed inside the grid some with balls inside the rings. 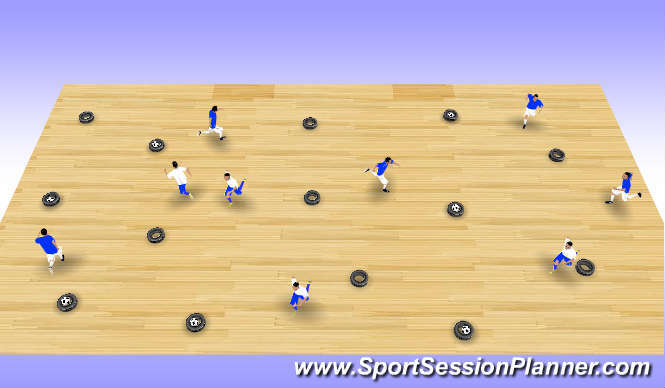 Objective: Players move inside the grid picking up balls using their hands and placing them into empty rings. Vary the exercise by adding different movements for eg. Players have to hop or jump around the grid. 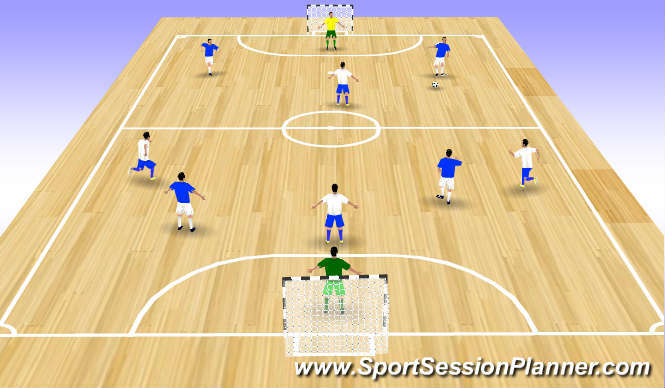 Players bounce dribble the ball while moving around the gride. Players toss and catch, and final progression players dribble with their feet. Coaching Points: Keep the ball close, Head up, Timing and distance of faint, Quality of disguise and execution of faint, acceleration while keeping the ball under control, take on players and identify what space behind them you want to get into or is available. Questions to ask: What do you need to think about when your dribbling? Why do we need to have our head up? What can you do in a 1v1 situation? What can we do to put our defender unbalanced? Organization: Set up Rings about 4 yrds apart. Players geting into pairs with a ball between 2. Objective: The ball is placed between the two rings per pair. 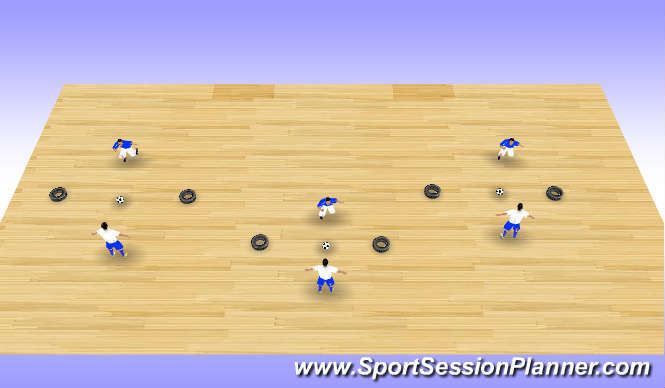 The Coach will select which group act as attackers first, the objective is for the attack to move the ball to one of the two rings before the player who is the defender can put his/her 1 foot in the ring. 1min Intervals, Each pair are to keep track of their score. After each attempt the ball starts back in the middle. 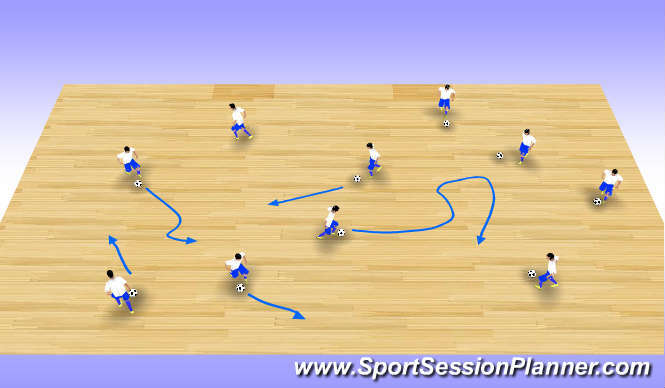 Objective: Players are to do ball manipulation exercises. Duck walk (Inside taps), jog on the ball, roll across your body and tap with the inside of opposite foot. Push forward with laces and roll back with the sole of the same foot. Driblle inside /outside ensure each foot is used. Driblle with the outside of both feet, Dribble using the sole of your foot and finally a free range. Game Focus: Ecourage players to dribble and take on players for 1 v 1 situations.